Las Palmas is one of the biggest cities in the Canary Islands chain of Spain. 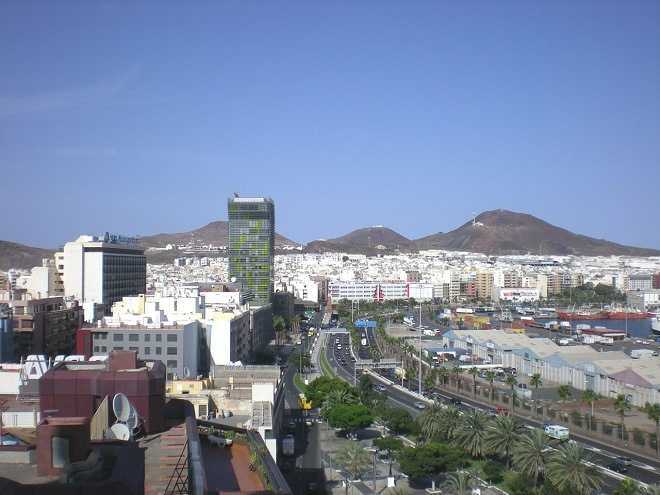 Las Palmas is the ninth largest city in Spain, with a population of 383,308 in 2010. Nearly half the people of the island and about a sixth of all inhabitants of the Canary Islands live in this city. It is also the fifth most populous urban area in Spain, with a population exceeding 700,000. It sits on the northeastern section of the Gran Canaria Island. Known for its sunny weather and splendid soft-sand beaches, Las Palmas port is a frequent stopover for cruise ships from Europe, America and Africa. It also plays an important role in business and trading in the region. Before exploring the island of Gran Canaria, it’s worth the effort to spend some time in Las Palmas. A strong Spanish vibe and rich heritage will greet you once you step on the shores of Las Palmas. The city’s streets are clean and charming, adorned with flowers and palm trees. Several shops, boutiques, cafes and tapas are scattered all around the Las Palmas. The city has its fair share of top hotels including the iconic 5-star Hotel Santa Catalina, which has been regularly accommodating celebrities and royalty. 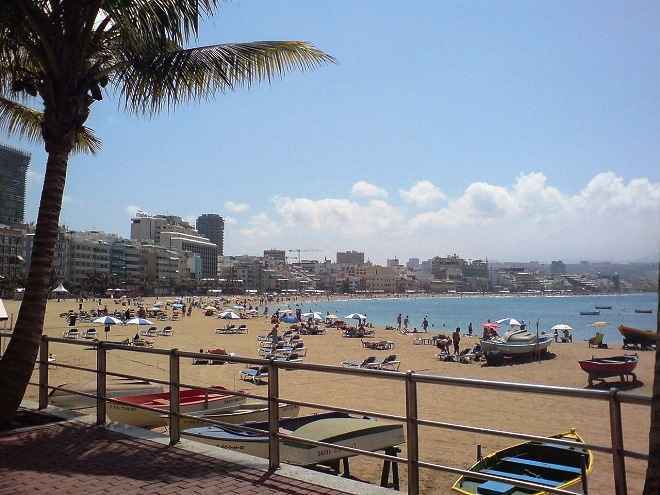 One of the main reasons why people come to Las Palmas is to enjoy its beaches. You don’t have to go very far to find one when visiting the city. The honey hued Playa de Las Canteras is found in the northwest section of the downtown vicinity. Travel magazines and agencies hail this pleasant beach as one of the longest city beaches in the world. Playa de las Alcaravaneras is the sister bay and beach area of Playa de Las Canteras, and is also very well known to the locals and visitors. If you are fan of bars, and restaurants by the water, then head out to Playa del Ingles near the city port. Here, you will find plenty of dining and drinking options. While here, you will also get the chance to view the beautiful desert scenery of Maspalomas. The Vegueta district is the oldest quarter in Las Palmas and is fittingly made up of narrow cobbled streets and traditional houses. Its rich cultural, architectural and historical heritage earned it the distinction of a UNESCO World Heritage Site in 1990. The best thing about traveling around Vegueta is that all of its noteworthy attractions can be reached on foot. You can walk over to Santa Ana square, which houses the impressive Santa Ana Cathedral, and drop by nearby Vegueta market. The market is a good spot to mingle with the residents and purchase local products to bring home. 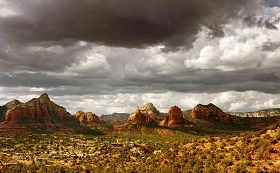 The district is also home to two notable museums, the Museum of the Canary Islands, and the Museo Casa de Colon (Columbus’house), The other attractions worth visiting include the Town Hall, Episcopal Palace and Centro Atl·ntico de Arte Moderno. Calle Juan de Quesada separates Vegueta, and the other historic district named Triana. Today, Triana has become a commercial center but you can still find some of the traditional Canary Island architecture all around the district. Triana is also home to the Casa Museo Perez Galdos. If you can’t get enough of outstanding architecture, drop by Plaza del Cairasco square, considered to be one is the best architectural sites in the city. The square houses exquisite building of Gabinete Literario cultural center, where exhibitions are frequently conducted. San Telmo Park and Parque Doramas are great places for visiting to relax, and have a picnic. This video includes pictures taken during the Hop-on, Hop-off bus tour of Las Palmas, Gran Canaria (Canary Islands) and lunch on the beach at Playa de las Canteras. Take the quiz and let’s see how good you are on this quiz about Palm Beach. 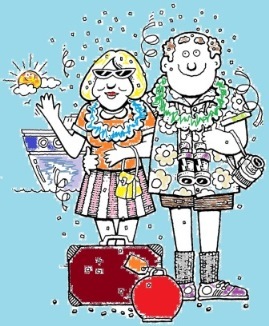 This Travel Quiz is about the port city of Las Palmas in the Canary Islands. 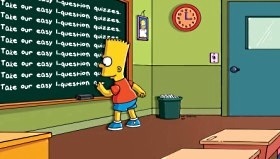 This is a True or False Quiz. The level of this quiz is easy. 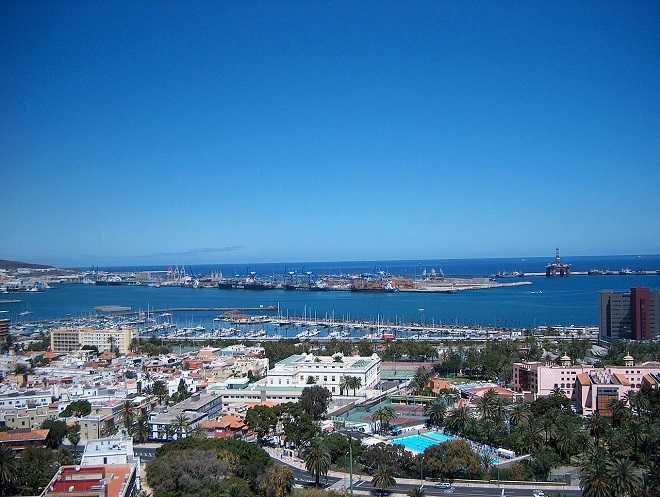 Thanks for taking this quiz on The Port City of Las Palmas Spain. 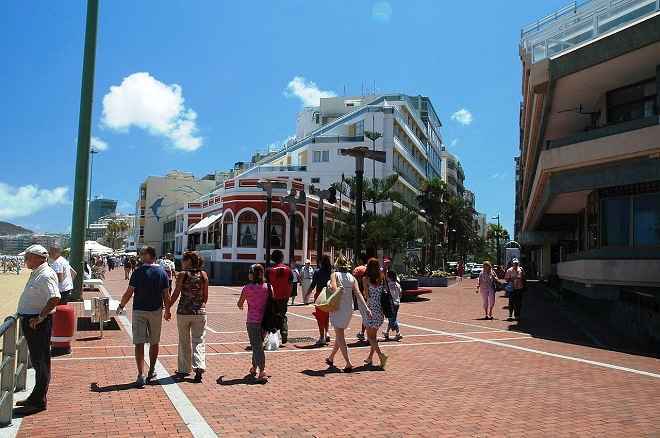 A walking tour of Las Palmas, Gran Canaria (Spain). False – Las Palmas sits on the northeastern section of the Gran Canaria Island. False – Las Palmas is one of the biggest cities in the Canary Islands chain of Spain. False – Las Palmas port is a frequent stopover for cruise ships from Europe, America and Africa. Las Palmas, Las Palmas Spain, Spain. Bookmark.